Mississippi’s 2019 Children’s Miracle Network Hospitals Champion is quite accustomed to titles. 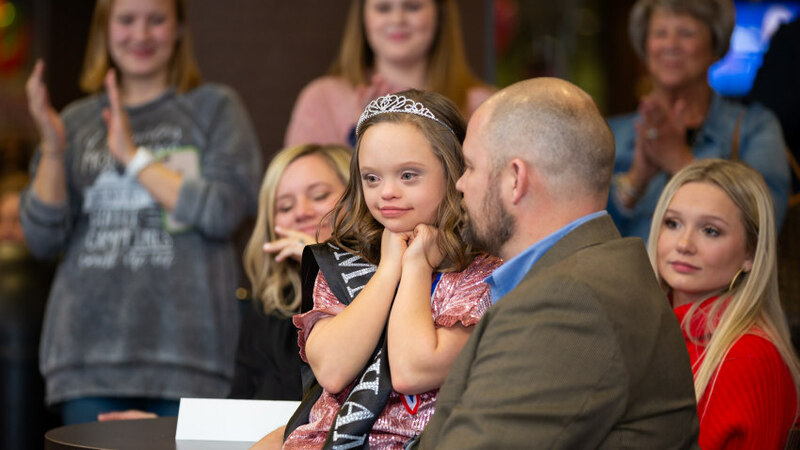 Aubrey Armstrong, 14, of Oxford, announced last week as the spokesperson for Mississippi’s only hospital dedicated to pediatrics, Batson Children’s Hospital at the University of Mississippi Medical Center, is also the reigning Mississippi Miss Amazing Junior Teen. Among Aubrey’s previous titles: 2017 Mississippi Miss Amazing Preteen, Oxford Mayor for the Day and Children’s of Mississippi Kid Captain for Ole Miss’ 2018 football game against Auburn. The event included the Ole Miss spirit squad, cheerleaders, Tony the Landshark and Oxford Mayor Robyn Tannehill, among others. Each year, Children’s Miracle Network Hospitals, a nonprofit organization that raises funds for children’s hospitals in the U.S. and Canada, identifies children with remarkable medical stories as Champions to represent the millions of children treated at CMNH hospitals every year. Included in that number are about 180,000 children treated through Children’s of Mississippi, the umbrella organization that includes all pediatric care provided across the state by UMMC, including at Batson Children’s Hospital. Miss Amazing seeks to provide opportunities for girls and women with disabilities to build confidence and self-esteem. 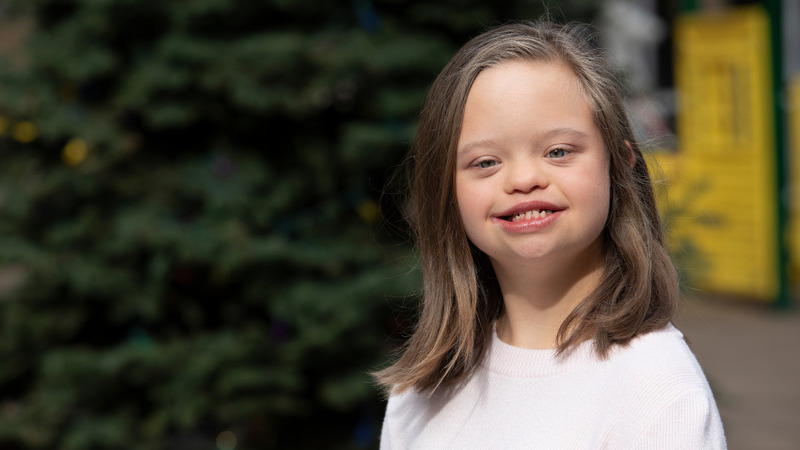 When Holly and Brad Armstrong were expecting their second child, Aubrey, they didn’t know she would be born with any special needs. Physical therapy, occupational therapy and speech therapy have been part of Aubrey’s care, and she continues to see specialists in otolaryngology, endocrinology and ophthalmology through Children’s of Mississippi. 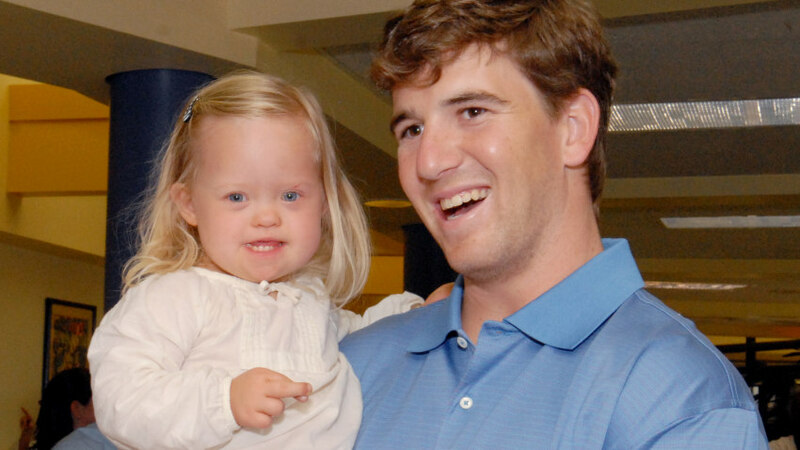 New York Giants quarterback Eli Manning first met Aubrey in 2008 during a visit to Batson Children’s Hospital. Though Manning couldn’t attend in person, a video message from him to Aubrey was played at the Champion announcement event. One of Aubrey’s physicians is Dr. Mark Reed, chief of the Division of Pediatric Otolaryngology at UMMC. He also delivered a message for one of his favorite patients via a video played at the event. Tannehill got to know Aubrey during a Buddy Walk in My Shoes Initiative, following her to Oxford Middle School to learn how to make change at the school store and inviting her into her office at City Hall. Andrew Russell, a Children’s Miracle Network Hospitals specialist in UMMC’s Office of Development, said Aubrey has already been living the Champion lifestyle, raising funds for Children’s Miracle Network Hospitals by selling lemonade on Oxford’s downtown Square, participating in the events of 21 United, a Down syndrome support group, and wearing the state Miss Amazing crown twice.